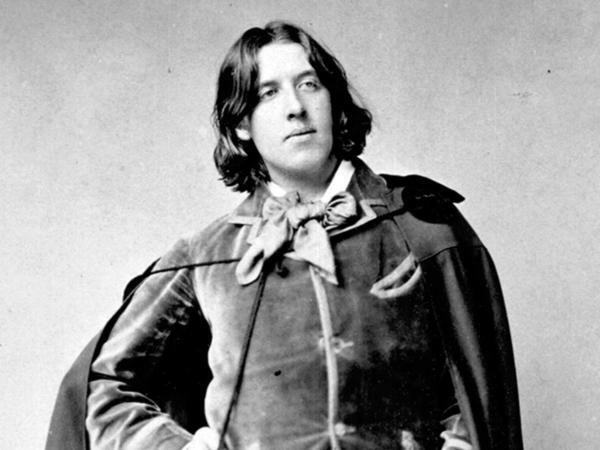 Playwright Oscar Wilde poses in an 1882 photo. A recently discovered 13-page letter from Oscar Wilde advises a mysterious "Mr. Morgan" that "[t]he best work in literature is always done by those who do not depend on it for their daily bread and the highest form of literature, Poetry, brings no wealth to the singer," according to a report in The Telegraph. Wilde adds, "Make some sacrifice for your art and you will be repaid but ask of art to sacrifice herself for you and a bitter disappointment may come to you." The letter was discovered last November, and will be auctioned off on April 4. Nigerian Novelist Chinua Achebe has died, according to reports from the Associated Press and other news outlets quoting his publisher. Achebe was the author of Things Fall Apart, and won the Man Booker international prize in 2007. Iraqi poet Dunya Mikhail spoke to NPR's Renee Montagne about memory and loss in an interview Thursday: "[P]oetry is not medicine — it's an X-ray. It helps you see the wound and understand it." Reginald Bakeley's Goblinproofing One's Chicken Coop won the prestigious Bookseller Diagram Prize for the year's weirdest book title, beating out, among others, Loani Prior's How Tea Cosies Changed the World. Megan Garber writes for The Atlantic about the slow death of the pronoun "whom": "Correctness is significantly less appealing when its price is the appearance of being — as an editor at The Guardian wrote — a 'pompous twerp.' "
For The New Yorker, Brad Leithauser describes the difference between "Hot" and "Cold" hells in literature: "Hot Hell is, in myths and fairy tales, a land of giants or trolls or monsters — creatures whose very dimensions are menacing. ... The evil genius of Cold Hell typically takes the form of a designing schemer. It's a spider — or a wizened, dark, spidery wizard. It's Sherlock Holmes's nemesis, Moriarty. It's Fu Manchu. It's the flattering, unctuous creature that proffers a tainted apple, whether the Bible's serpent or Snow White's witch."